Total Broadcasting Service beginning immediately will now provide new and renewing customers who are full service subscribers to our monthly marketing video and internet upload service a 13th or 25th video at no additional charge for every one or two-year subscription. This FREE video will feature YOU or your representative presenting your product or service, introducing yourself, and it will be fully edited and produced. This 1 minute video will be shot at the same time the video intros and commercial tags are shot for your remaining 12 information “tips” videos. In essence, by making this announcement Total Broadcasting Service is again demonstrating that it is listening to its customers wishes, and needs and fulfilling them. We are a seven-year old company that specializes in radio advertising, audio and video production. But the video aspect of our business came about only 2 1/2 years ago. It’s genesis came from customers. For a while we had been producing audio-voice tracks for internet web sites. As we marketed this service more and more people said, “Sounds great, but we want video”. In listening to our customers we hired Marianne Peterson, a veteran video editor/producer, and now a partner with Total Broadcasting. Marianne’s great and improving work is seen in every custom and monthly video we produce. And we met our customers needs by providing an affordable video service so businesses and business people can take advantage of the SEO and other great benefits video on your website and social media pages provides. 1. A one minute video, shot on location, that can be scripted by our writing experts and feature you or your company’s chosen representative. We can provide the cue cards and direction that will make you feel comfortable during your time in front of the camera. And we’ll make you look and sound great. 2. Each month for the duration of your subscription, 12 or 24 months, you will get a new professionally edited and produced video featuring quality voice talent narration of a subject of specific interest to YOUR industry. Each video can also include you, introducing yourself, saying hello to your customers and website visitors. 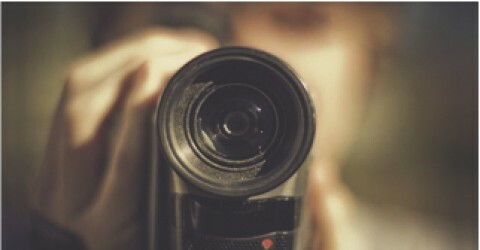 In customizing your videos we’ll produce your introduction and closing commercial tag. Your website appears at the bottom of the screen throughout the video. And your phone number and/or your address and other information appears in the title pages at the beginning and end of each video. 3. We can and will write your narrative for you. We have been writing radio and video copy for the airwaves for nearly 30 years. You’ll know that working with you, your words will be impactful and compel people to want to choose you and your service. 4. We will utilize our SEO expertise in uploading your videos to the internet. Search Engine Optimization expertise comes only from having studied the practice over recent years. There’s a lot more to getting your videos seen than merely clicking an Upload button on YouTube. We’ll place your videos on the three most popular sites on the internet: Google, YouTube, and Facebook. And if you don’t have a Facebook business page, or YouTube business channel…we’ll make one for you. One for which you’ll be proud. Recently, Total Broadcasting Service restructured payments for our subscription service. So now your monthly videos and upload service come to you for only $89 per month for one year subscribers, or $75 per month if you subscribe for 2 years. So you can now appear in your own, exclusive, introduction marketing video AND in at least 12 customized information “tips” marketing videos. And you can do it while guaranteed to spend less than any full service marketing program you’ll ever see. The multi-billion dollar internet software company, Cisco, says 95% of the internet data traffic will be video by the year 2014. Do you really want to be part of the 5% that doesn’t have video? Especially when you don’t have to be. The fact is, if you’re in business, you need the products and services provided by Total Broadcasting Service. And we would be so honored if you would sit down with us to allow us to teach you more. Call us now. Let’s talk. 425-687-0100. Memorial Day Video — History.com Work Ethic- What it’s done for Me.